Do you clean your counters with wet disinfectant wipes? How about your mirrors with glass wipes? Have you used wipes on your baby? There is an ever growing number of wipes. 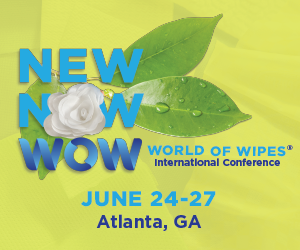 Wipes’ use around the world has increased as well. From your home to your office, to the shop floor to the hospital, wipes have made a huge impact on the way we live and work. They are durable, easy-to-use, cost-effective and lightweight.